CSV stands for Comma Separated Value. 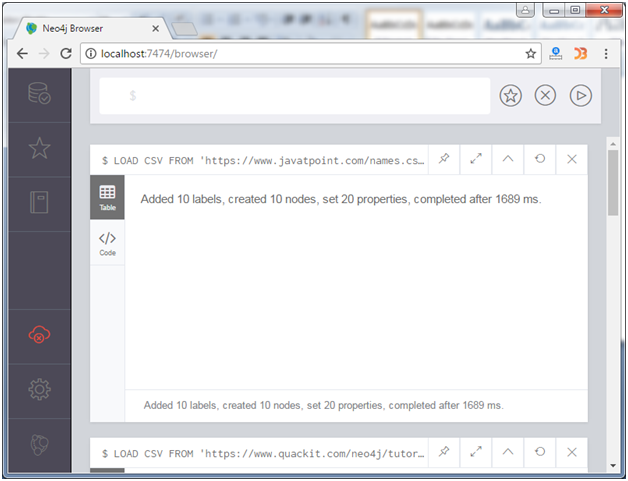 LOAD CSV statement is used to import data from a CSV file into a Neo4j database. 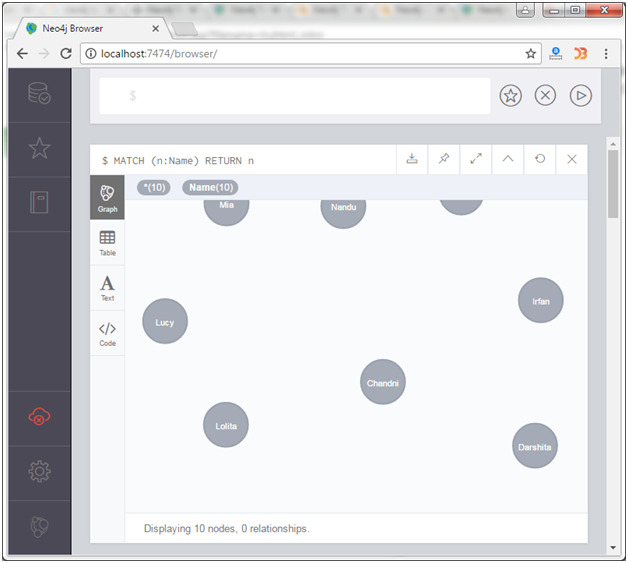 It facilitates you to load CSV files into Neo4j form other database i.e. relational database. You can load a CSV file from a local or remote URL. Use a file:/// URL, to access a local stored file (on the database server), Otherwise, you can import remote files using any of the HTTPS, HTTP, and FTP protocols. Let's load a CSV file named "names.csv" using the HTTP protocol. It contains a list of 10 names, so it will create 10 nodes.